Love these! They really fire up the grey cells and make me want to create. Keep up the great work Donna. I just discovered your blog and it’s totally awesome! I’m new to inchies and now am so inspired by your blog. I’m itching to get creating. I’ve put you in my reader – thanks for the inspiration! Wow – just found your site today. Very impressive goal you have! i LOVE the inchies in this post – great colors and lines. wowowowow…love the inchies! 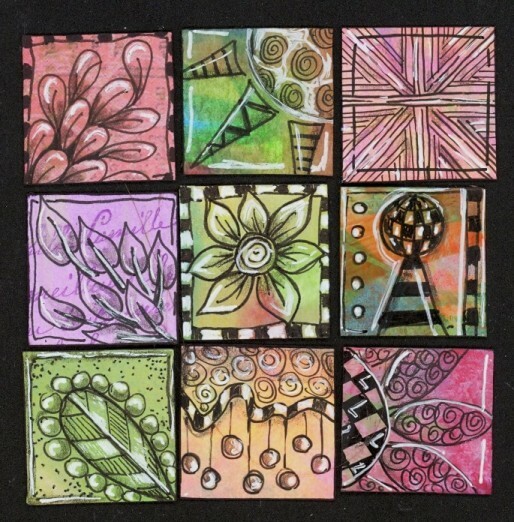 I do zentangles too, and was thinking of making some on inchies…now i have have have to!!! 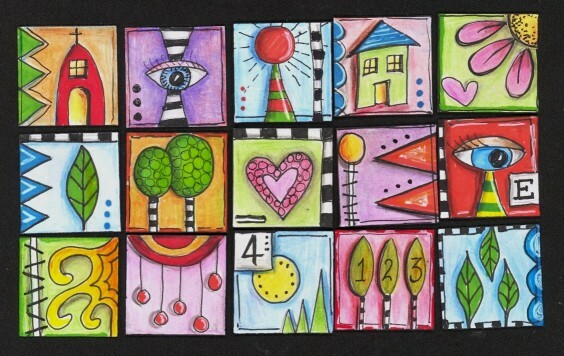 I am just getting into inchies- LOVE yours – have also done zentangles on inchies. Drop by and take a peek!! How ambitious – 2009 in 2009!!! !